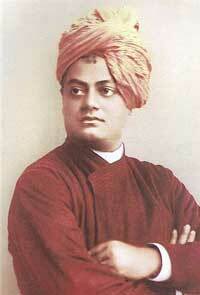 Swami Vivekananda, born Narendra Nath (1863–1902). An Indian Hindu monk and the chief disciple of Sri Ramakrishna. He was a key figure in the introduction of the Indian philosophies of Vedanta and Yoga to the Western world, and was a major force in the late 19th century revival of Hinduism in India.